Is my PAYE coding correct? How does HMRC work our tax codes? Why do people ignore their P2 code change notices? Follow the links to expert guidance. Recent research by HMRC shows that the vast majority of taxpayers who are under PAYE do nothing when they receive a PAYE coding notice. Why? It seems that the fact that the notice looks generic and not personalised could be a factor, it could also be that people don't like tax and so its simply easier to put your head in the sand and pretend that it won't affect you. HMRC will advise PAYE code changes using a form P2 notice. If your PAYE code is wrong you pay the wrong amount of tax. HMRC issues a P800 tax calculation at the end of the year if you are not within Self Assessment (i.e. you have not been sent a notice to file a Self Assessment return). If you have an underpayment of tax calculated via a P800 notice you cannot appeal it: you should have checked your tax code. HMRC issues some 20 million PAYE codes to employees and pensioners each year. Using data collected under PAYE Real Time Information Reporting by employers HMRC should be capable of generating the correct code for you. You have multiple jobs or pensions and HMRC has not restricted your peronal allowances so that it is only given for one job/pension. Check your code. Have you told HMRC you have more than one job? Do your employers know that you have another job? They might have started you on the wrong code if you did not complete a starters form fully. You have taxable employment benefits that have not been adjusted in your PAYE code. Check your P11D, inform HMRC as soon as you spot a problem. You have had employment expenses in a previous year and HMRC continues to adjust your PAYE code as if you incur those costs in the current year when you don't. 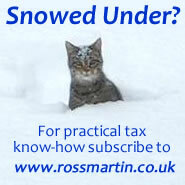 HMRC has adjusted your code for pension contributions or gift aid and you no longer make those payments. The Low Incomes Tax Reform Group (LITRG) has issued a guidance note to help taxpayers to check their code is correct. The Low Incomes Tax Reform Group (LITRG) is an initiative of the Chartered Institute of Taxation (CIOT) to give a voice to the unrepresented. Since 1998 LITRG has been working to improve the policy and processes of the tax, tax credits and associated welfare systems for the benefit of those on low incomes. The CIOT is a charity and the leading professional body in the United Kingdom concerned solely with taxation. The CIOT’s primary purpose is to promote education and study of the administration and practice of taxation. One of the key aims is to achieve a better, more efficient, tax system for all affected by it – taxpayers, advisers and the authorities. The CIOT’s 17,000 members have the practising title of ‘Chartered Tax Adviser’ and the designatory letters ‘CTA’.